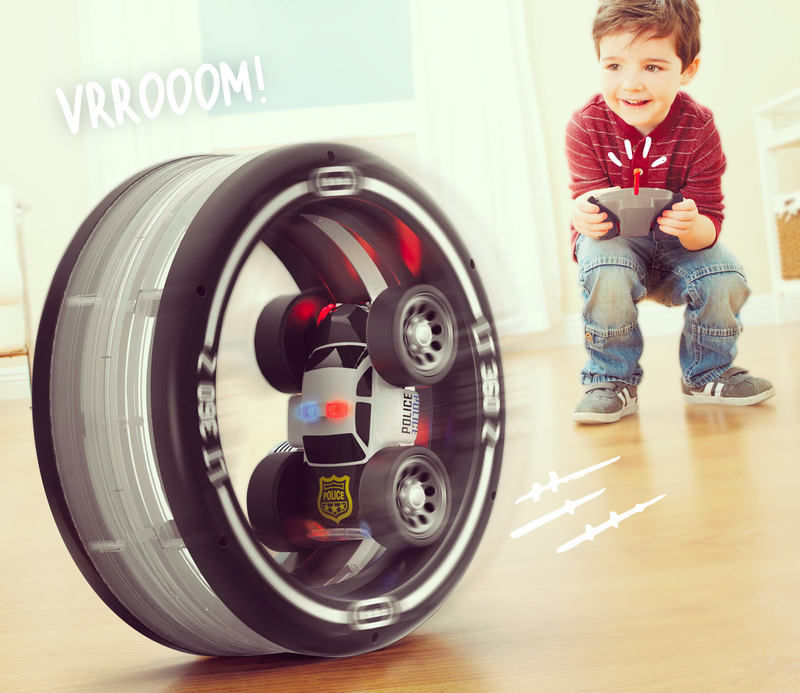 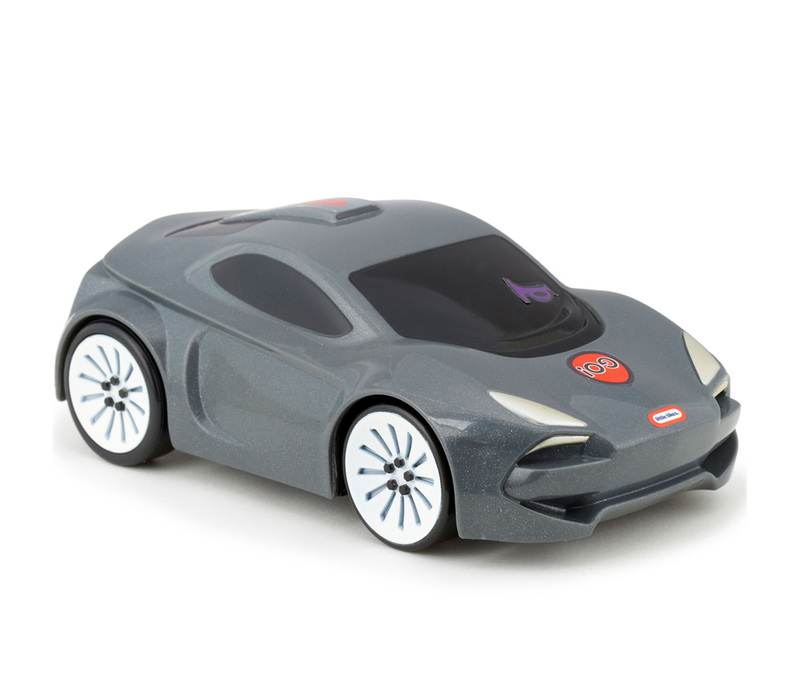 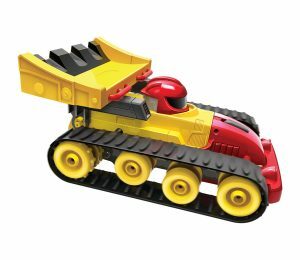 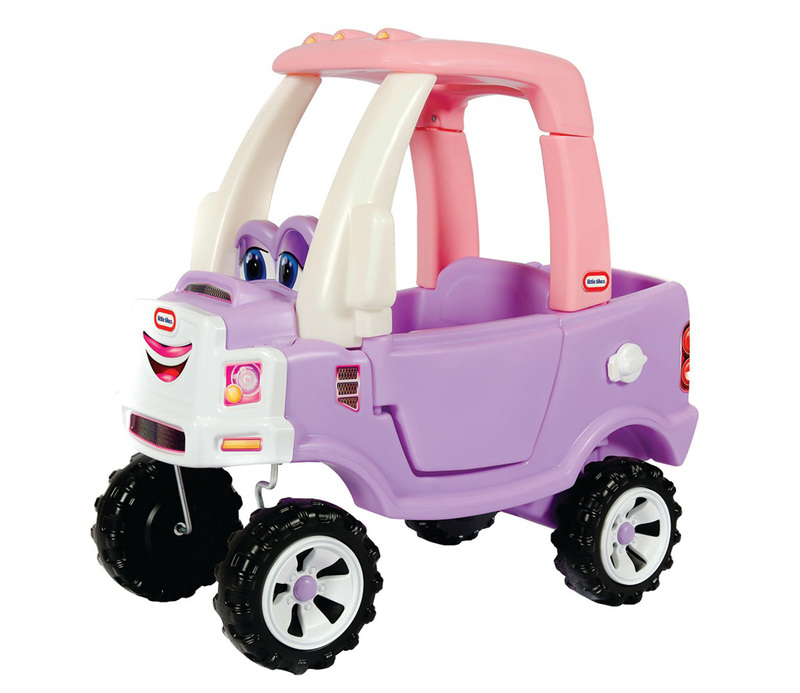 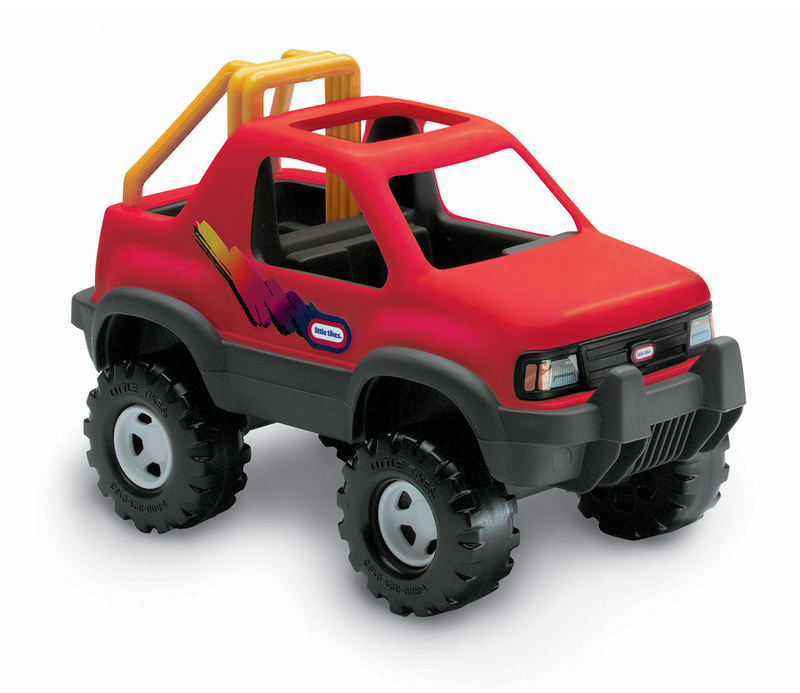 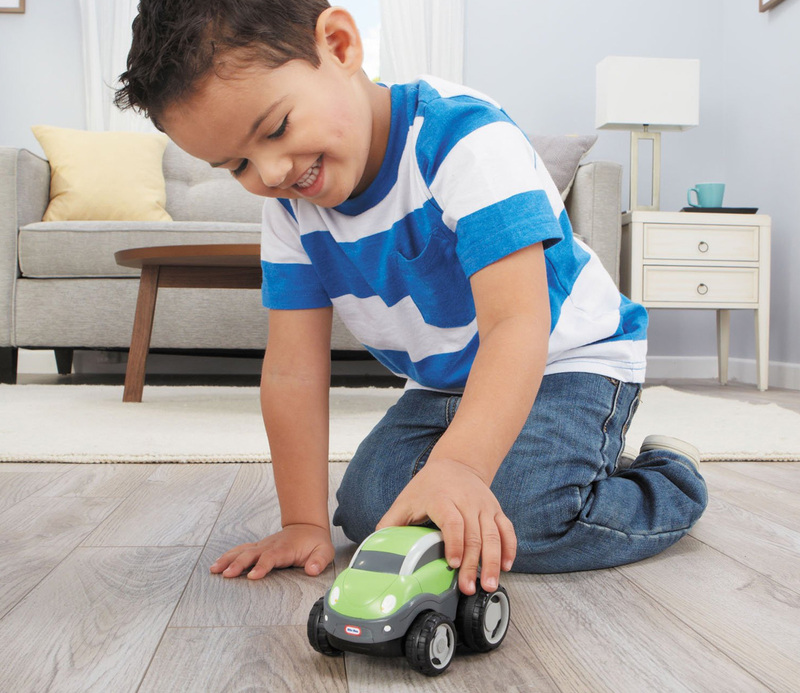 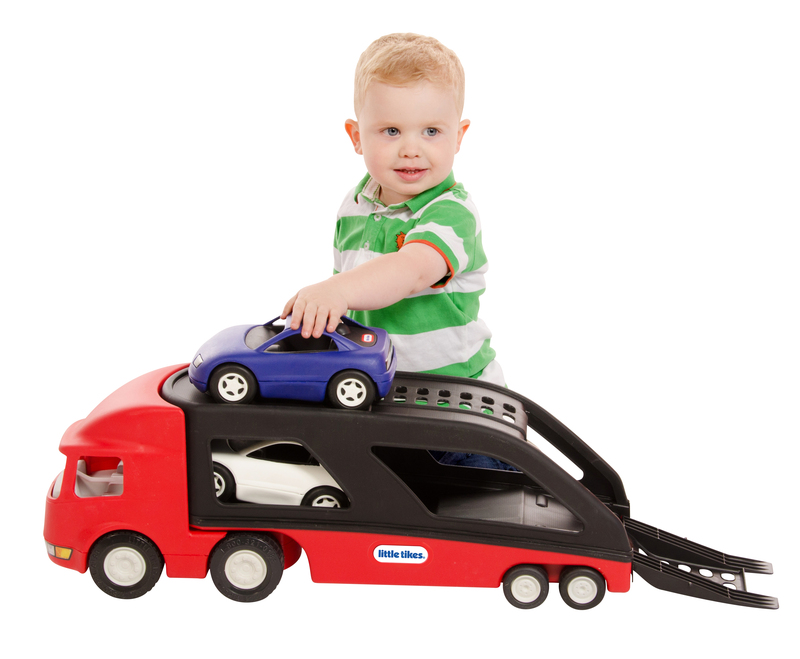 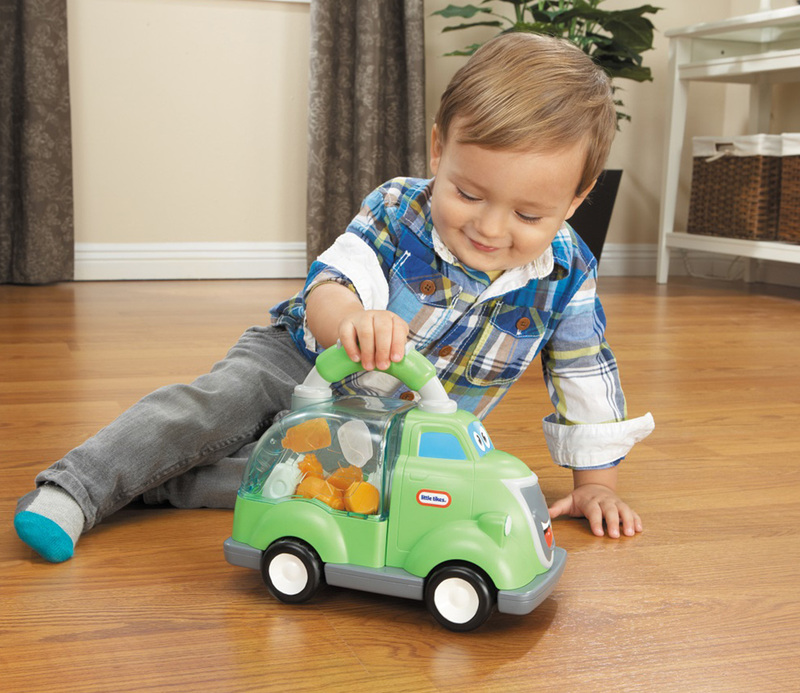 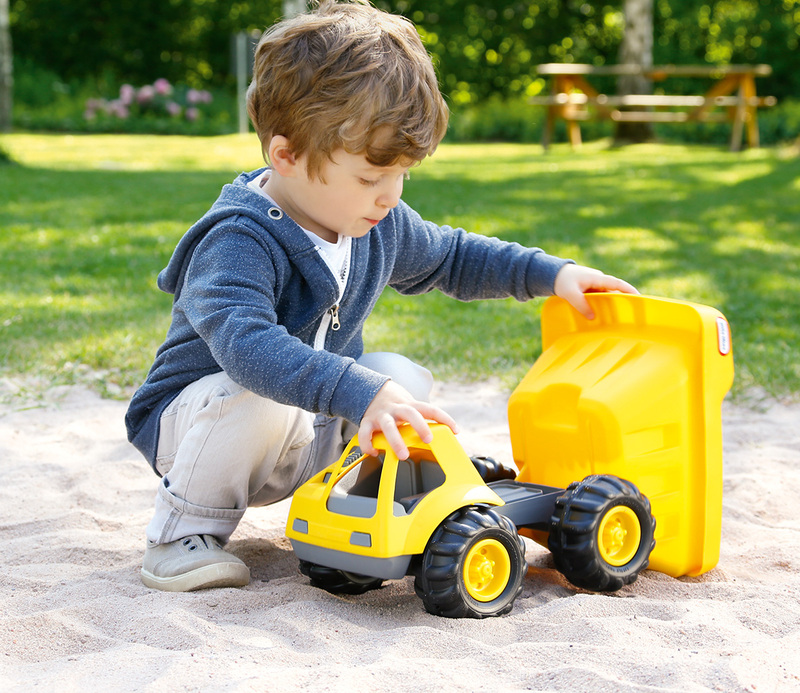 Little ones are part of the race with these zippy little vehicles! 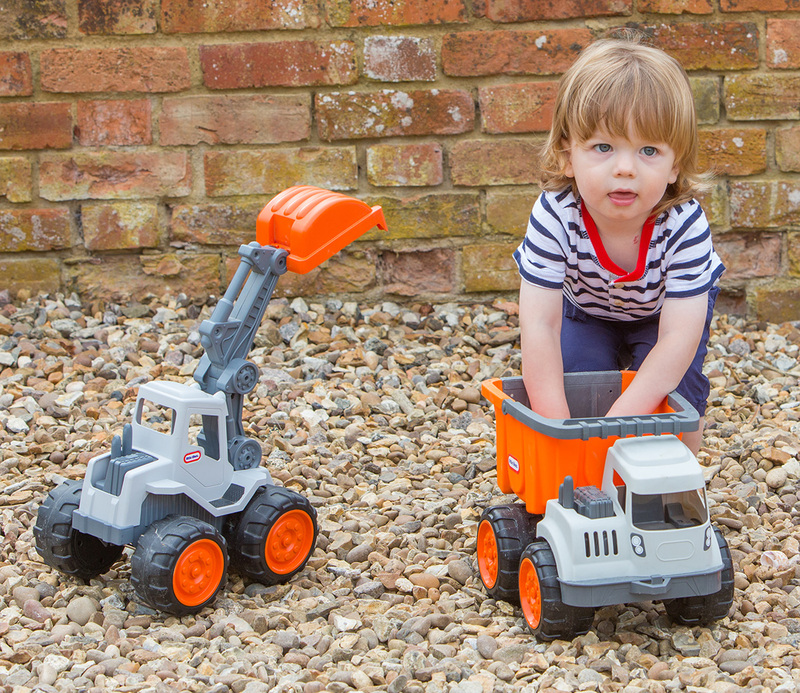 Slam the top of the dustbin lorry and watch it go! 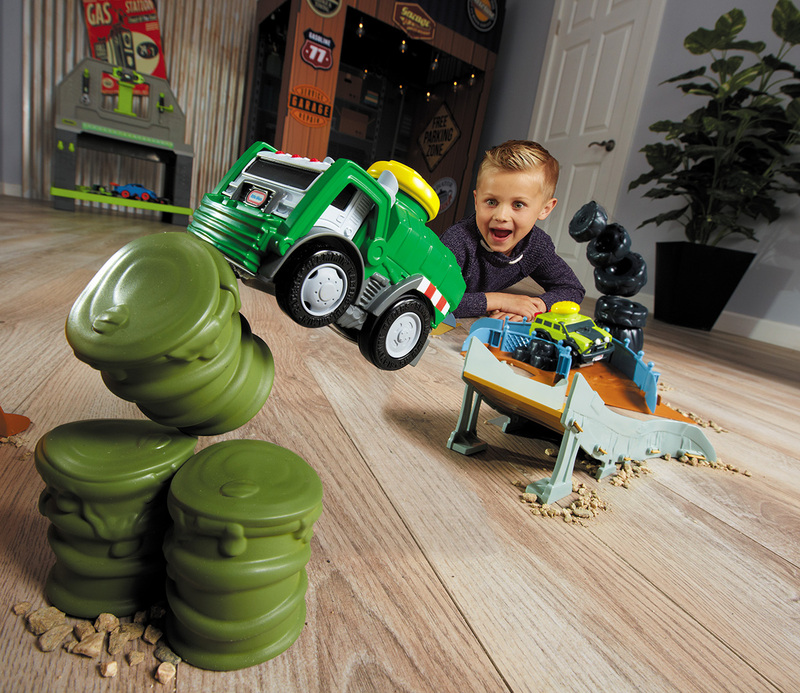 See how many barrels it can knock down as it travels 15ft at a time. 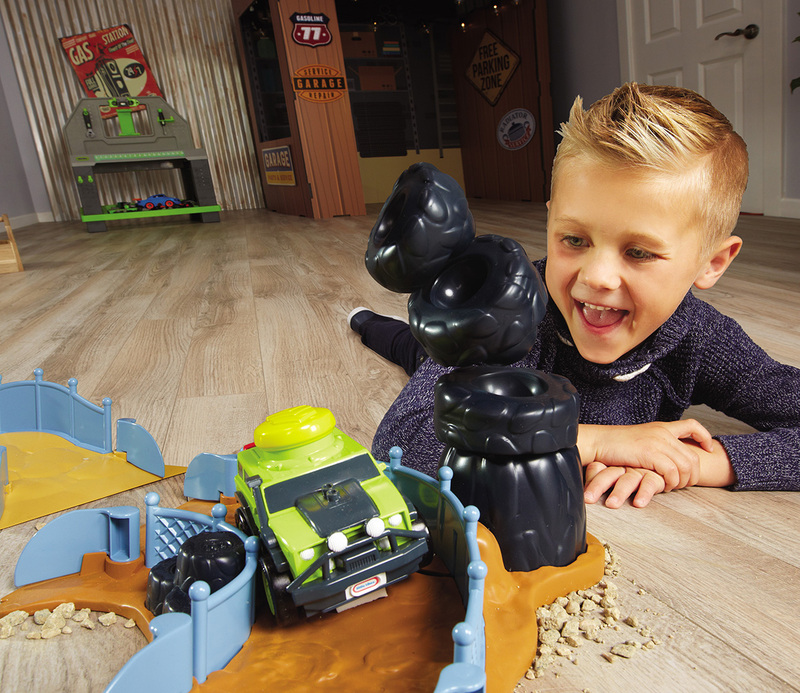 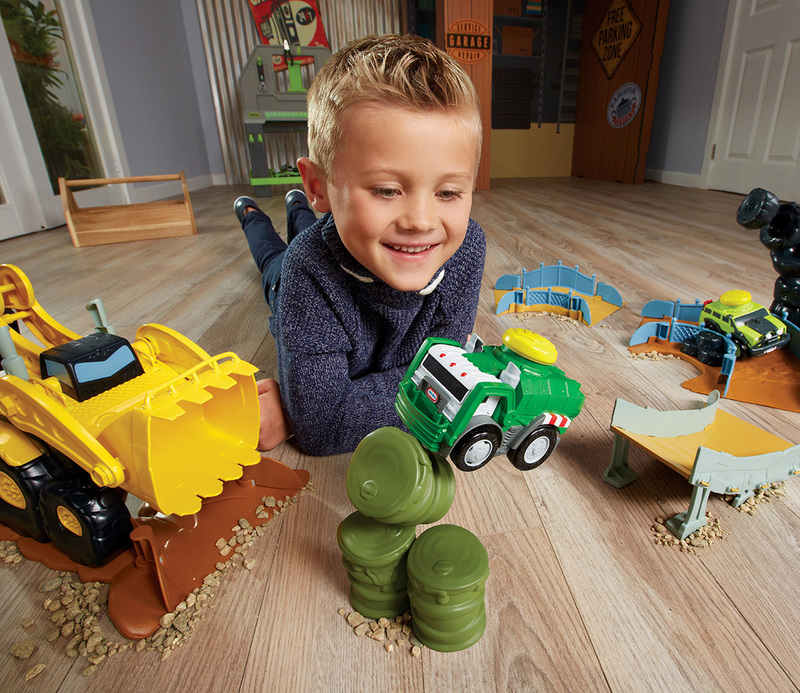 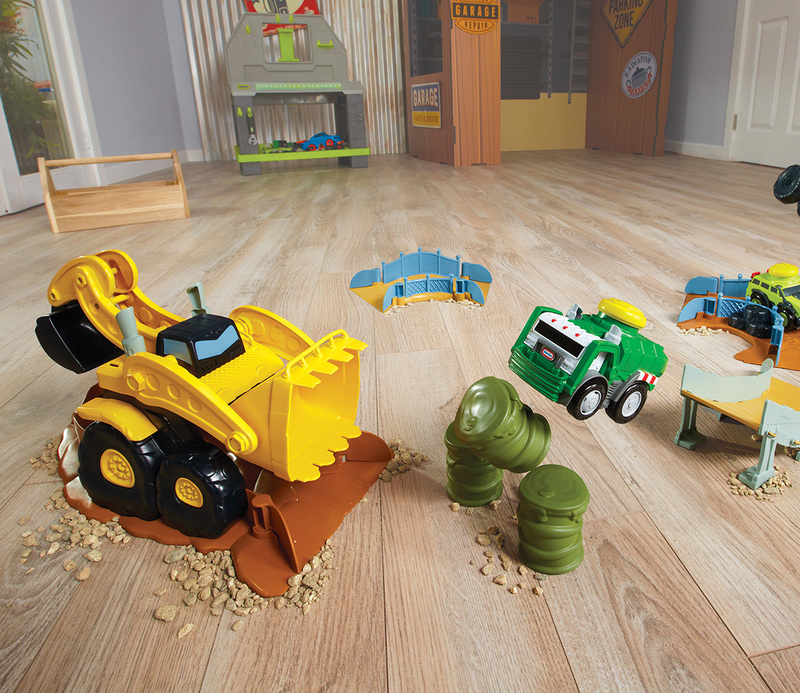 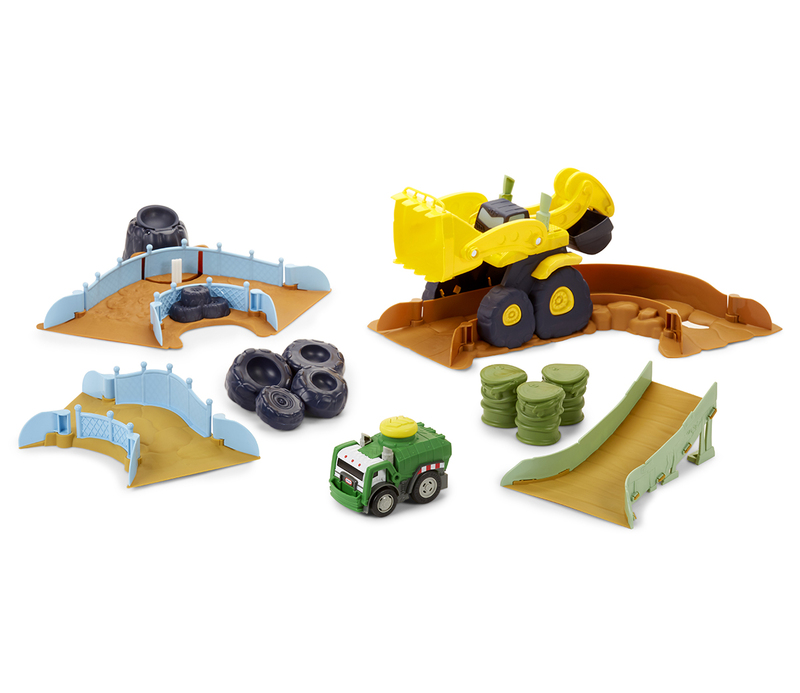 The set includes four tracks to create a customised course, two obstacles to make the race more challenging, three accessories and the exclusive lorry. 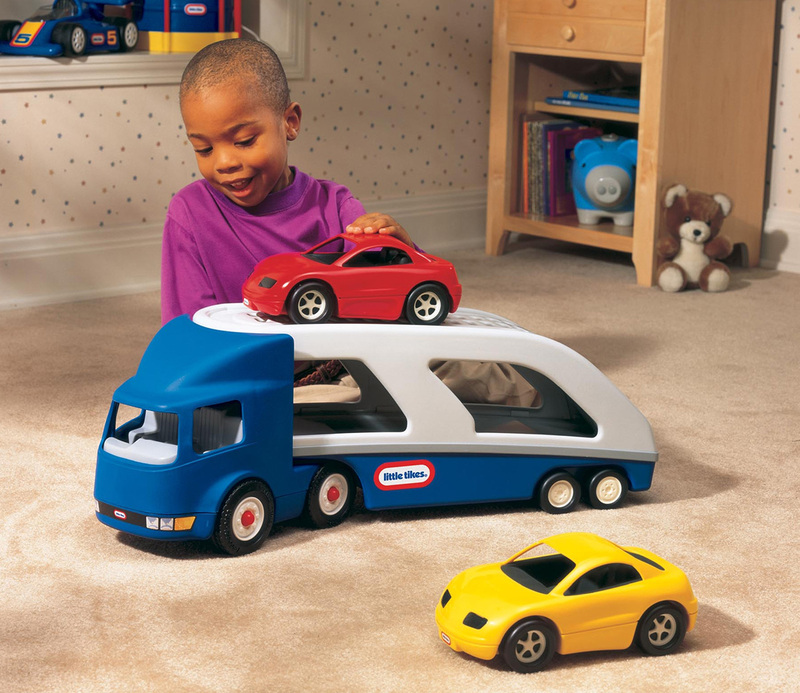 Slam the top of each car and watch it go 15ft. 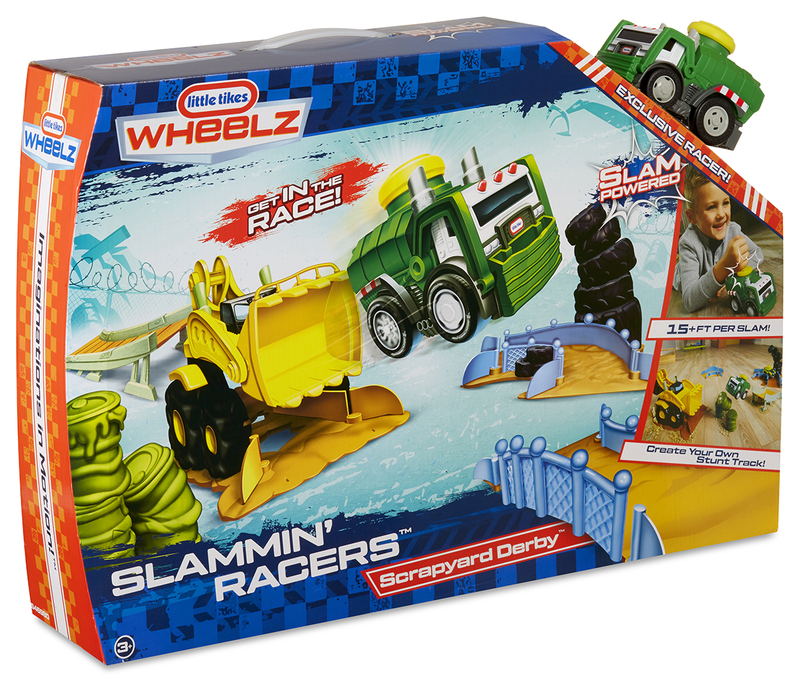 Slam it again at anytime and they go another 15ft.